This letter is written on behalf of the members of the University of Queensland Women’s Collective (UQWC) to express their significant concern regarding the mistreatment and disrespect towards our group by the current student union (UQU) and its female Gender and Sexuality Vice President. 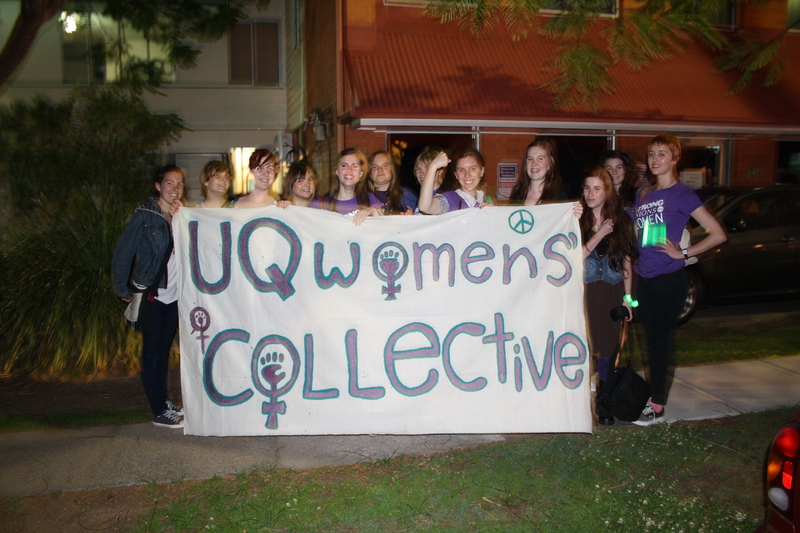 The UQ Women’s Collective has been an integral source of support, representation and activism for female-identifying people at the University of Queensland since the mid 1970s. The Collective has acted, and continues to act, as a feminist activist group promoting women’s rights and raising awareness of a broad range of issues surrounding gender inequality, as well as providing a space for women’s voices to be heard, shared and valued as part of a large, supportive community. In the past two years alone, the UQWC has raised money for women’s charities, participated in feminist events such as Reclaim The Night, hosted a successful Diversity Week event, and established our own bi-monthly magazine, Wom*news. The UQWC has a rich history and an active, vibrant presence on campus at present. Unfortunately, the past two years have seen an increasing level of disrespect, discredit and purposeful ignorance towards the UQWC by the UQU and its incumbent office-bearers, particularly by its Gender and Sexuality VP. Instead of recognising an active and long-standing women’s group, UQU has de-affiliated us and refused any involvement with the UQWC, cutting off access to resources and union support. Their primary mechanism for this has been the Women’s Rights Action Group (WRAG), a more recent UQU-established group that seems to exist in name only. The Women’s Rights Action Group has been largely inactive in terms of supporting women on campus. Several UQWC members are on the WRAG mailing list, but have never received any news about upcoming events, or notifications of meeting, required to be called regularly under the UQU’s constitution. We have emailed the female VP Gender and Sexuality, Ms Ashleigh Ross, numerous times, asking when regular meeting times are, enquiring when the next meeting will be, or requesting to join the WRAG mailing list. 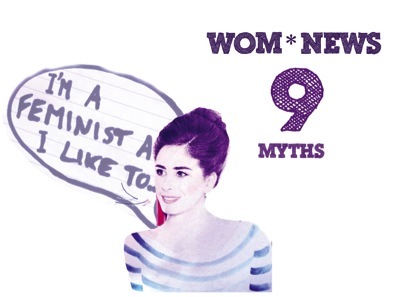 We have also sent emails regarding women’s issues on campus, campaigns and gaining support for events from the union. We have not received replies to any of these enquiries. Ms Ross has not been involved with, or supported, UQWC campaigns or events in any way, to our great disappointment. She has also failed to turn up to any UQWC meetings (which are publicised on our Facebook group and on the chalkboard in the women’s room on campus) apart from one in November 2011. This suggests to us that WRAG is either inactive in supporting women on campus on a realised, day-to-day basis, or that the VP Gender and Sexuality is not making her efforts towards women’s welfare and rights accessible to those who need them or are interested. Neither of these are satisfactory for women’s representation and welfare on campus. While WRAG continues to ignore and disrespect the UQWC, they are inadvertently ignoring and disrespecting other women on campus who need the type of community, support and action that only the UQWC offers at this time. UQU and Ms Ross’ refusal to engage with an active, long-standing group does not support women on campus, and presenting an inactive group that does not meet and does not organise or support women as the only choice for involvement to the university’s students is negligent, disrespectful and inadequate. This is potentially harmful to women on campus, as they are unable access the support that they seek. This mistreatment and ignorance towards the UQWC is best exemplified in the case of this year’s Market Day in Semester One. After correspondence with Ms Ross, initiated by members of the UQWC, we had secured a spot at the WRAG Market Day stall. Ms Ross had assured us we would be allowed to use a part of the stall to promote the UQWC and have a sign-up sheet to collect details of new students who wished to join. This arrangement was confirmed in emails sent between UQWC members and Ms Ross. On the day, Ms Ross refused to let the UQWC use any part of the WRAG stall as previously arranged and we were not even allowed to leave our sign-up sheet for interested women to use. The UQWC members involved were treated with contempt, and when they attempted to hand out materials and a sign-up sheet next to the stall, were threatened with security. This incident clearly shows how the UQU is using the inactive WRAG to deny an active and vibrant women’s group access to resources, representation and recognition. The UQ Women’s Collective resists the idea of disbanding and moving our membership to the UQU-sanctioned WRAG, because doing so would disrespect the significant history and achievements that past members have made for women at UQ. Furthermore, it has been made clear to us that UQU does not wish to affiliate with us or support us, despite having done so for most of UQU’s history. We believe that joining WRAG would make no difference to women’s rights on campus, seeing as WRAG has been inactive over the past two years. Regardless of affiliation, we see no reason for the current UQU treating us in a sexist, disrespectful and female-phobic manner. We hope this letter creates change for the women of UQ, and that the UQWC can obtain the support, representation and respect it deserves from the UQ Union, and in particular from the female VP Gender and Sexuality, whose role it is to provide exactly that.